Every time I’m happy with life, I’m afraid. Contentment and fear aren’t usually used in the same sentence, but it’s the simplest way to sort out my jumbled up thoughts. I’m afraid because I worry the universe may overhear how content I am and do its best to throw a curveball (or a snowball to be more appropriate) and shake things up. I’m fearful of being too content, because I know it’s not permanent. Knowing that bad times won’t last forever is an optimistic way to look for the light at the end of the tunnel. But if that relationship is true, then so is its opposite. Good times won’t last forever; you just may enter the tunnel again at any given moment. Have I become so cynical, that I can’t even enjoy feeling content? That’s not the person I want to be. Looking over my shoulder for the next thing to steal my sense of contentment is surely not how I want to spend my life. Honestly, this neuroticism is built upon an extremely shaky foundation, because the things that are contributing to my general state of satisfaction haven’t been given to me. I’ve created this happiness, and I have no qualms about taking credit for it. To kick off the first month of the year, I had made myself several promises. I’d documented some of them in my New Year’s Suggestions post, but the others were basically just mantras I wanted to live by. 1. Be friendly and open-minded to spend more time with the people you love. After a full work week of being “on” all the time, I cherish weekends of relaxation to unwind and read or write. While most other people plan to spend Friday and Saturday nights out, I make plans to paint my nails and delve into a movie. I just want to be “off”. I truly do need time to recharge after social interactions, which is a classic introverted trait. I decided to try and be more of an outgoing introvert. I started striking up conversations with classmates I’d barely spoken to and saying yes to more experiences. While I did it on my own terms, by usually leaving early, I was still making an effort to take an active role in the world around me. And I’ve been happier for it. This is the one resolution I thought I would for sure abandon within days of creating it. Surprisingly, I’ve been working out almost daily, usually with a rest day once a week. I actually enjoy it and find myself waiting for class to end so I can go home and run. 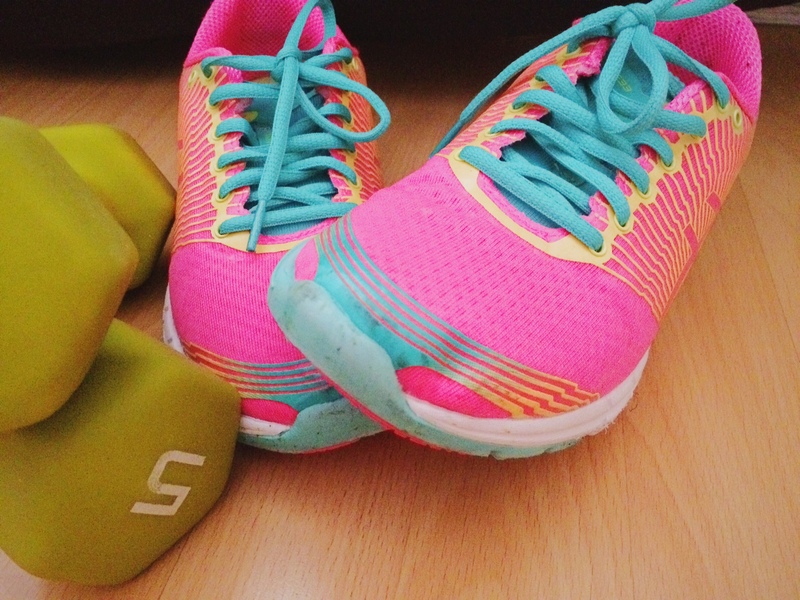 Whenever I’m more active, I’m usually happier, which is probably from the endorphins. The hardest part is getting started but once I’ve turned the treadmill on, I’m glad I’ve done it. I love feeling more productive and energetic, and actually following FDA guidelines for once in my life. 3. 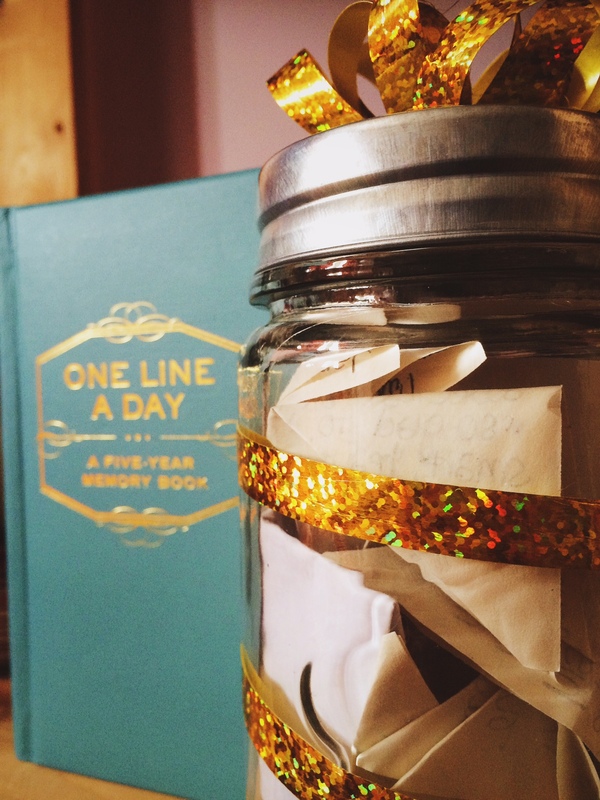 Keep a “One Line a Day” journal and a jar of memories. For Christmas, my best friend gave me a One Line a Day journal (this one to be exact) and I’ve been keeping up with it for the past few weeks. The concept is simple enough – write down a couple things about your day, every day, for five years. I even fill it in on the most mundane days, where all I’ve done is school work and put on a face mask. It’s silly, but I feel like I make more of an effort to follow through with plans so I’ll have something interesting to write down and look back on. It’s a great little journal to keep a record of your life, without all of the effort that goes along with a diary. My state of happiness isn’t because of a specific thing or a specific person. It’s because of small changes I’ve made to improve and throw myself into the good (and bad) of life. I know how incredibly irrational it is to feel a lingering fear that tarnishes a happy feeling. But the anxiety in me just can’t help it. I’ve been reminding myself that I wouldn’t have such an appreciation for contentment if it wasn’t for feeling down from time to time.